Pat Neshek is a pitcher for the Baltimore Orioles and autograph collector himself. He has right on his website his address to send him cards to sign so that is what we did. I had a card of him from when he was on the Twins so I sent him a letter to spring training and told him about what I was doing. 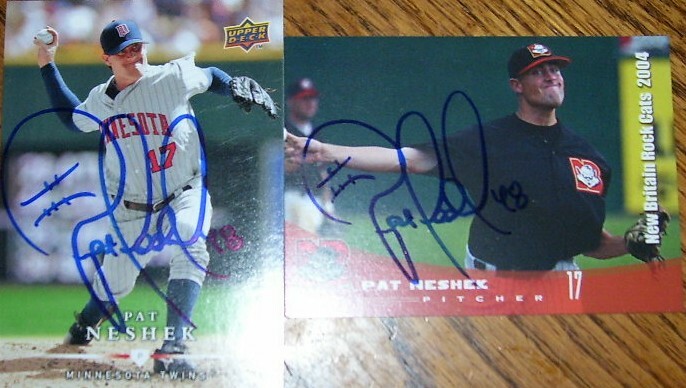 He responded by signing my card and also sending another card from when he was in the minor leagues. Thanks Mr. Neshek! I'd love to see his collection, he probably has some good ones!